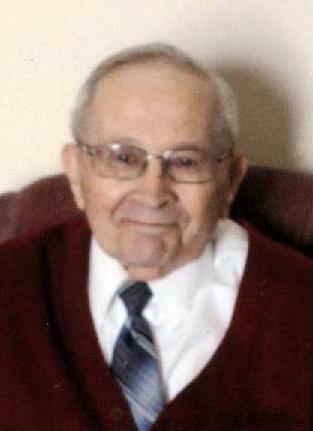 Duane E. Wolford, 85, of Van Wert, passed away on Wednesday, November 14, 2018, at his residence. He was born November 5, 1933, in Michigan to Rosco D. and Elva A. (Taylor) Wolford. They both preceded him in death. He was united in marriage to Betty Carder on February 14, 1953, she survives in Van Wert. He is survived by a son, Steven Wolford of Colon, MI; three brothers. Phillip (Mary) Wolford of CO, Fredrick (Pat) Wolford of Lima, and Richard Wolford of Van Wert; four grandchildren, Holli Hauter, Justin and Evan Wolford, and Ashley Farris; nine great-grandchildren; and sister-in-law, JoAnn Wolford of Van Wert. He was preceded in death by a daughter, Debora Agnes Thatcher; sisters, Mary Ellen Corman and Rebecca Wolford; brothers and sisters-in-laws, Bob (Janet) Conley, Leroy (Joyce) Wolford, and Roger Wolford; and a sister-in-law, Margaret Wolford. He was a member of St. John the Evangelist Catholic Church, Van Wert American Legion, and served in the Army from 1955-1957 becoming a staff sergeant within two years. He was a quality control supervisor at General Dynamics. He was a bee keeper for many years and enjoyed making wine from the fruit from his orchard. Funeral service will be on Saturday, November 17, 2018, at 3:00 p.m. with viewing from 1:00 until the time of service at Harter and Schier Funeral Home. Pastor Glen Prine will officiate. Burial will follow in Walnut Grove Cemetery with military grave rites by the Delphos Veterans Council. Memorial contributions may be made to St. Jude’s Children’s Research.